Build your confidence on the first tee: How to Prepare to play your best! Honestly, who hasn’t had the first tee jitters. At all stages of our playing careers we have all experienced anxiety, butterflies, elevated heart rate and sweaty palms on the first tee. Whether you are playing for the first time, competing in your first amateur tournament, competing in a professional event, entertaining clients for business golf or playing in a club championship, we have all experienced nerves on the first tee. The preparation you take in the weeks or months prior to your golf game will help you relax and enjoy your day. Once you understand that all golfers feel the same way on the first tee, you can use the tactics below to alleviate your stress. Professional golfers often get anxious about performing in front of a crowd and it is compounded if they know they haven’t put in the practice. The game of golf is played over 18 holes with all types of shots and terrains being tested, so reduce the pressure by relying less on making a perfect first tee shot and focus on what you can do well. Working with a golf instructor, coach or friend on your swing basics? You should discuss your goals. Your instructor can structure a practice plan for you to get you ready. They may consider working on different parts of the game like putting, chipping and fairway shots to give you an idea of what you can expect in a game situation. Your instructor will be able to advise you on the clubs you should use and have knowledge about the course you are going to play. Ask them lots of questions! Develop your own pre-shot routine. At your practice session, be sure to reinforce your pre-shot routine. A small bucket of balls should take anywhere from 45 minutes to an hour to hit. This routine should be done before every shot you take on the course and at the range. This ritual prepares your body to focus on the target and is the trigger that allows you to make the shot. This is often a practice swing, but ensure you are focusing on a target, your breathing and reinforcing your 1 or 2 swing thoughts. The more you practice it – the more natural it feels! Create your own club labels or “cheat sheet”. Do you know how far each of your clubs go approximately? write it down and adjust it as things change. Do you know what each club is designed to do? What club do you chip with? Label each club or tuck an index card in your golf bag. Bring only one or two swing thoughts with you to the course. If you are a beginner, the thought of playing the game can seem very overwhelming that you feel you need to know everything. But this is simply not true. When you are out playing the game, each experience becomes a new bit of information that builds your knowledge. Each of your practice sessions should be focused on identifying a few movements or thoughts that help you hit a ball well. Know your golf etiquette. Prepare for the day by understanding that golf requires you to be courteous to all on the course and leave the course in the same state you found it. Keep quiet when others are hitting and be a safe distance during the swings. Keep pace with the group ahead of you – know what club you are going to hit, take only one practice swing and walk while you talk! Pack your golf bag, water and snacks the night before. If you need to rent clubs be sure to call the pro shop the night before to ensure you are on their list. Before heading to the course eat a good meal that will keep you fueled for a few hours. Be sure to drink lots of water and avoid caffeine and alcohol as it will make you feel more anxious. Arrive at least 30 minutes before your tee time. Paying for your green fee, renting a cart and warming up will take time. Warm-up with a few dynamic stretches and if there is a driving range be sure to hit a few iron, wood and driver shots. Don’t forget to spend a few minutes getting a feel for the speed of the greens on the putting green. Being prepared for the first tee shot will help alleviate your stress. Along with learning the fundamentals of your swing, with a bit of practice your pre-shot routine will become a habit and will lead to better scores. 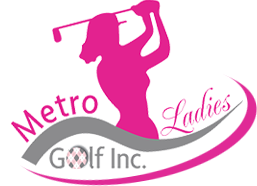 Connect with Sara @ metroladiesgolf.ca to see how she can help!